Imogen's Typewriter. 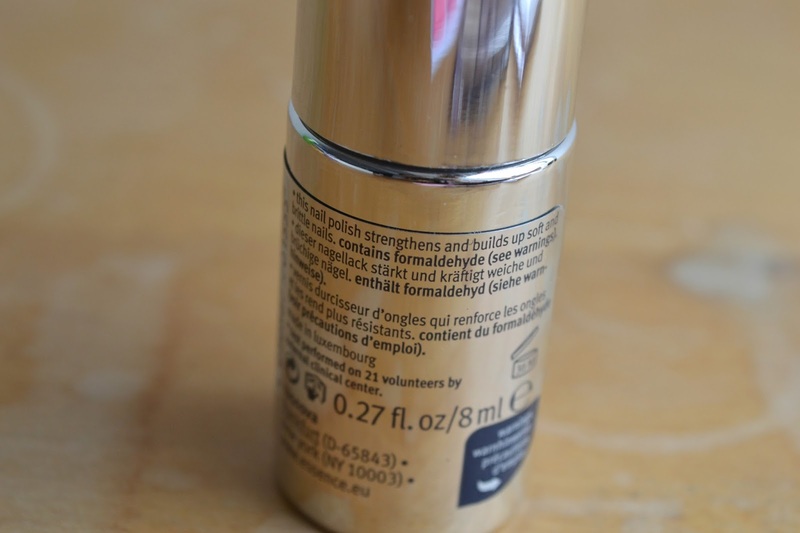 : Review: Essence Studio Nails Ultra Strong Nail Hardener! 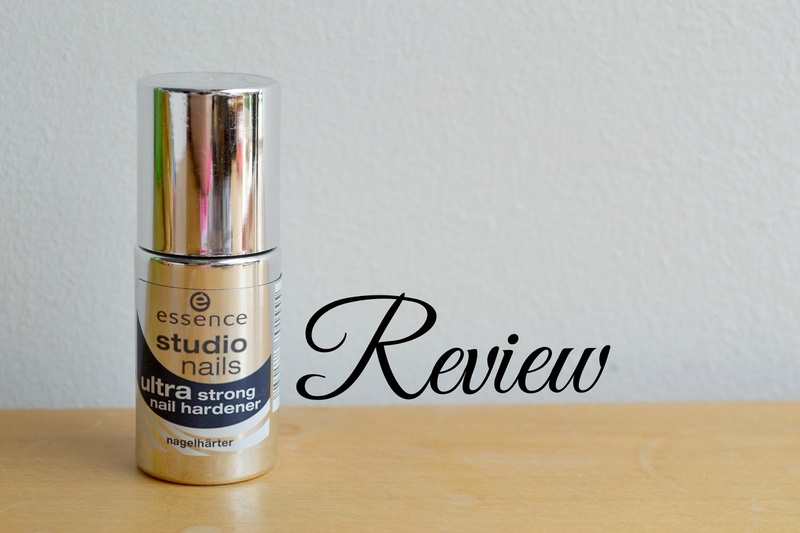 Review: Essence Studio Nails Ultra Strong Nail Hardener! When I was at the Manchester Essence event, I had my nails done by the Pamper Puff Girls and while I was sat there- Caitlin was talking to her Pamper Puff Girl about how to improve her nails. This product was recommended so I had to get one and test it out so see if it worked for me. 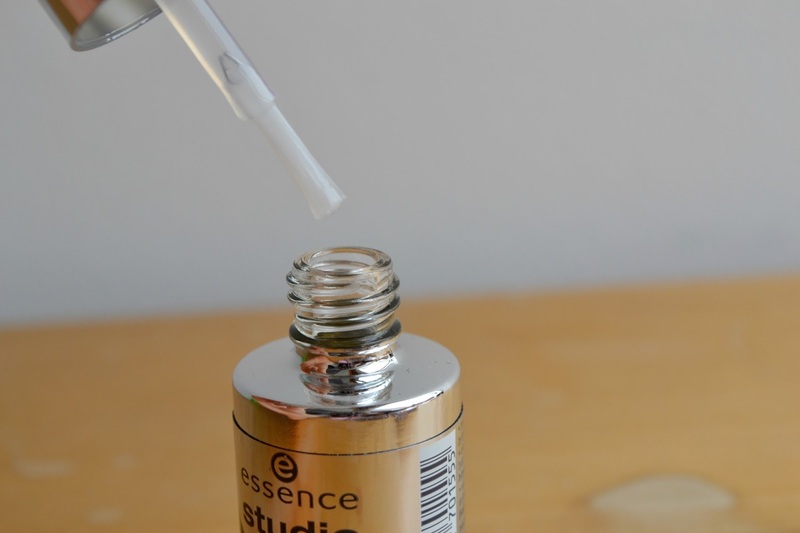 You may remember in my Review of the Essence Studio Nails XXL Nail Thickener me stating; 'looking for something long term? I have another Essence review coming soon that might be for you!' Well- here you go! Damn you reflective products being so hard to photograph! It wasn't until I got it home and had a good read of the label that I saw the bolded: 'Contains Formaldehyde'. But never fear, despite the commonness of this on CSI, after going to Twitter with my worries I was promptly sent an email calming my nerves. That is stellar customer service. 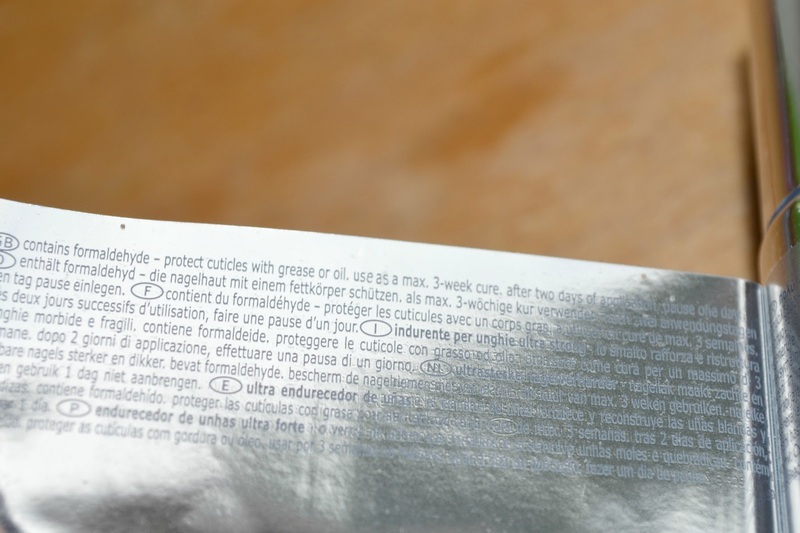 Basically the formaldehyde is a nail hardening ingredient and the use of formaldehyde in nail hardening products is allowed by european cosmetics law if the concentration is under 5%. You should protect your skin and only use it for 3 weeks, with a one day pause for every two days with it on. But that is more than enough time for this to work in my opinion. So I got a big tub of Vaseline, a thick eyeliner brush and a good thirty minutes of nothing-else-to-do. I'm not going to lie and say this wasn't high maintenance because it was and luckily I'm quite good at watching TV out of the corner of my eye or I might have got a little bored but the results from this were great. It basically promises to strengthen and build up soft, brittle nails and it does that. Yep. This product works. My nails felt thicker and stronger after using this and didn't break from silly accidents. Is it worth it? If you have thin nails and have a little extra time, I'd say yes. If you don't have half an hour a day to sort out your talons, then the Essence Studio Nails XXL Nail Thickener or my HG Boots Own Salon Nail Strength solution might be for you. What do you think? Have you ever come across a product like this that works? *I received this at the Essence Manchester Event, but this has not changed my opinion and I'm not obligated to talk about it on my blog.